You have 3529 characters. Don’t forget to add important and relevant keywords in your description to improve your iTunes app page and optimize your SEO. Your app's last version was released on January 21, 2019. It is important to regularly update your app. Best practices recommend to update your app every 4 to 6 weeks. This means fixing reported bugs, improving existing features, launching new features etc. Keep an eye on users' feedback. The next great features may already be asked by many users. 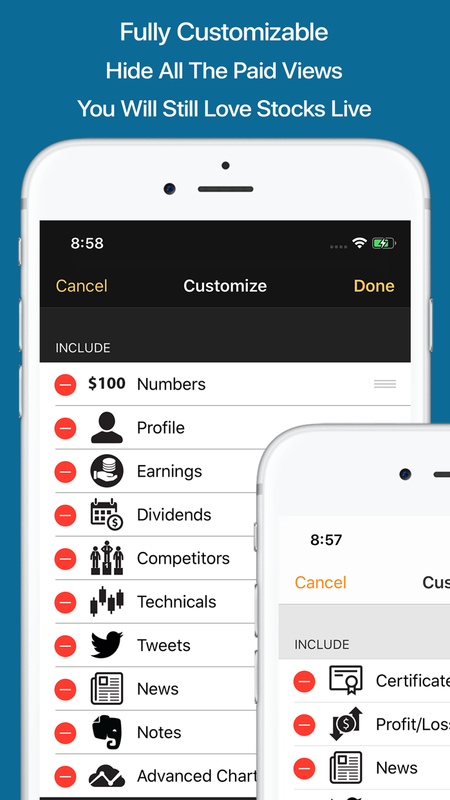 - Best Stock Market App for iPhone in 2014. About.com. 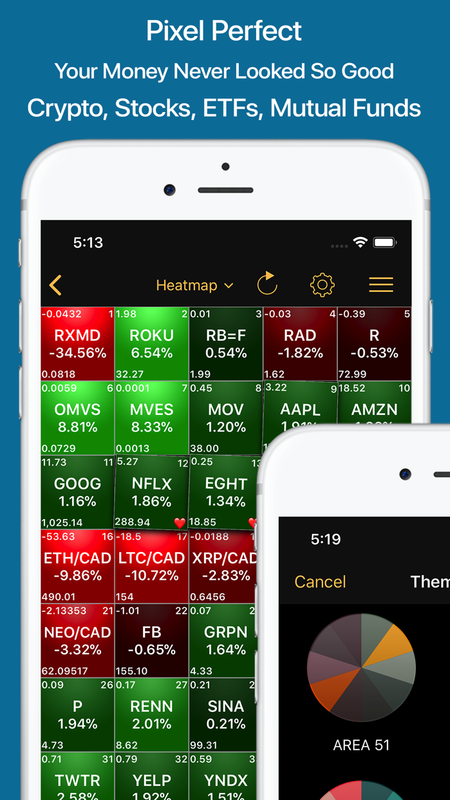 - Stock Market App to Boost Your Portfolio. TheStreet.com. 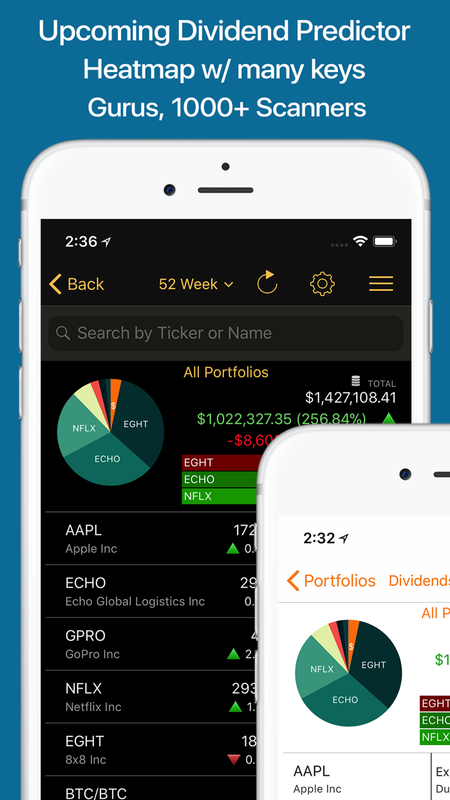 Stocks Live is an amazing way to track the stocks you know and discover new winners. Securely sync and trade your portfolios with major brokers anywhere, anytime. - Free sync & trade with major brokers. - Real-time quotes* (with extended hours). Auto-refresh every 20 seconds, also manual refresh of quotes on demand. - Global coverage similar to Yahoo! Finance (including China, Japan, Taiwan, Hong Kong and more). - Buy/Sell signal that works (look for the heart). - Unlimited multi-currency portfolios that work. - Unlimited watch lists (tested with more than 10,000 stocks per watch list!). Easily create watch lists with as many stocks as you want. - 450+ market activities, scans and user-defined filters. No app can claim such collection with such price. Another 450+ scanner as in-app. - Earning and Ex-dividend date calendar. In-app purchase required. - iCloud enabled (must be logged into iCloud). Sync and backup your portfolios and watch lists on all your devices. - Private backup for portfolios and watch lists. - Search for stocks, ETFs, mutual funds, indexes, world currencies and more. - Fast and smooth user interface. Optimized for the Retina display and iOS 9, and takes full advantage of the new multicore processing power of the iPad and the iPhone. - Unique chart viewer (now full screen by popular demand). From intraday to inception day, or anywhere in between, configure the chart scale (log or linear), chart type (candle, bar or line) and volume for all your watch lists in one go. - 140+ news feeds from reliable news sources. - World currencies. See any currency over time, or its current value against any other. - View the US stock market grouped by sector and industry. - Richly detailed view of each company, organized in eight sections: Numbers, Earnings Estimates*, Dividend History*, Competitors*, Technicals, Events, Tweets and News. - We are very proud of our data quality. Transaction-based portfolios are a hassle to enter and maintain. 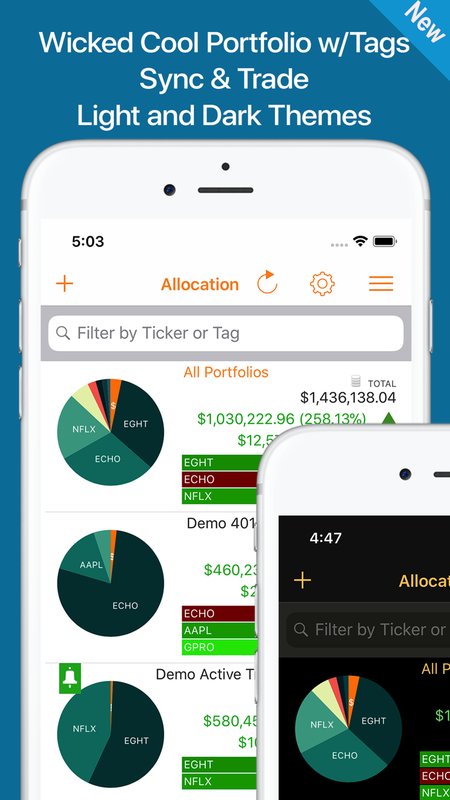 Stocks Live uses a more practical way to manage portfolios. Just enter the latest positions you have, and never worry about buy and sell transactions. Update Stocks Live whenever your portfolio changes--it's as simple as that. - Play What-If scenarios with your portfolios. - Multi-currency support aggregated to your local currency settings or per portfolio currency. - Alert if your portfolio is higher or lower than a certain threshold. - Benchmark each portfolio against any ticker. - Passcode protection with Touch ID. - Support long, short, RSUs and employee stock options. - Support for stocks and put/call options. - Support copy/paste for easier data entry. - Short-term and long-term performance calculation. - Display the number of days until a short-term holding becomes a long-term holding. - The Special Advisers Team:Yuri Belorusets and Yoni Miller. - The Eagle-Eyed Man (also French translation): Pierre Louveaux. - Japanese Translation: Mayumi Takeda. * real-time is for all Nasdaq, NYSE, some companies in UK, German, French companies & Netherland, in-app purchase required.